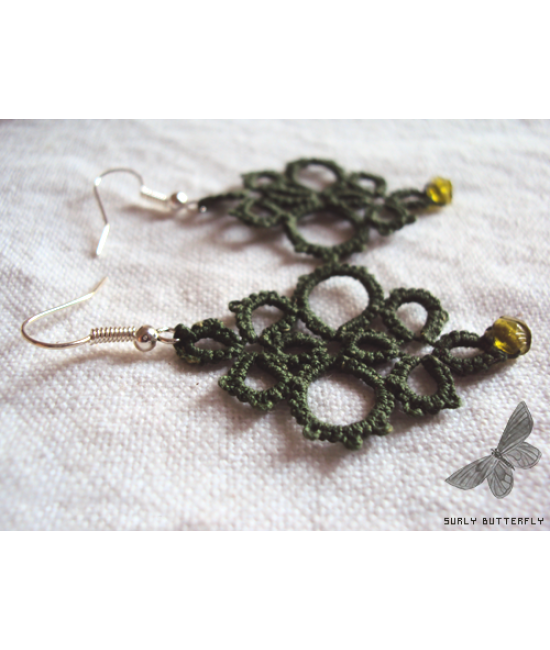 These tatted earrings are based on some that I designed for a penpal. 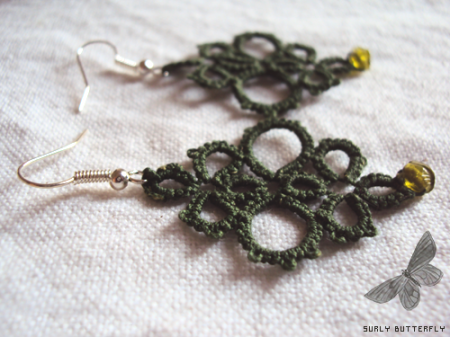 Each pair of earrings has been crafted by hand, with much care going into tatting them: this means every piece is unique. Feminine and elegant, these earrings are suitable for a variety of occasions. They are light-weight and comfortable to wear. A note on the materials used: The beads on these earrings are handmade, and rather whimsical; I doubt that two of them are similar. But that just adds to their beauty and individuality.